ON A SHOESTRING BUDGET, but still wanna have someone else set the table and chop the veggies? Don't fret. At Pho Vietnam, a no-frills Vietnamese noodle soup restaurant, you can eat out locally and enjoy fresh and enticing ethnic flavors for about the same price as a fast-food meal. In fact, you can get an entire nutritious meal-in-a-bowl for about four bucks without having to worry whether or not you can afford to "supersize." Join the restaurant regulars and hunker down over a large steaming bowl brimming with huge slices of beef, pork, or butterflied shrimp, with plenty of noodles, herbs and vegetables. Drink in the aromas: chili, lemongrass, soy, ginger, and fresh mint. Money may be tight, but a world of culinary riches at rock-bottom prices is steeping in that fragrant broth. Tuck a paper napkin into your collar, grab a big plastic soup spoon, and lap it up. 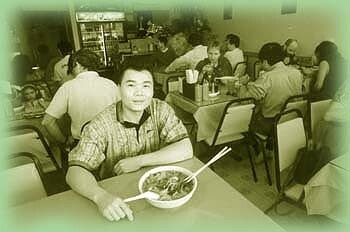 Pho Vietnam, 711 Stony Point Road, Santa Rosa; 571-7687. --P.H.